A little rumination on this Wednesday morning. And, as I am staring at my computer screen and the title of this post, I realize that I could have just as easily entitled this, “Incorporating Your Work into Your Life”. In choosing a company with whom to partner, it is important to know that your partner can get the proverbial job done. At Pentecom, we pride ourselves in being amongst the best in data conversion and all things Mil-Spec and S1000D. It is important for us to be very specific in what we claim expertise in, because if we claim to be experts in all things, we actually de-value ourselves. In addition to wanting to know that the company with whom you choose to partner is knowledgeable in the subject area at hand, you want to know who the people are with whom you will be working. It is human nature to want to know what makes someone else “tick”…what drives and motivates them. As a still relatively new employee of Pentecom, it has been interesting to discover the myriad of interests and activities that my co-workers have outside of the workplace, and how those activities are woven into our day-to-day work life. There’s Bill, who is our Director of Consulting. Frequently, I can hear him strumming a guitar at the start of one of our conference calls. He keeps one near his workspace. I assume it allows him to destress and to ponder whatever particular problem he is contemplating at the moment. 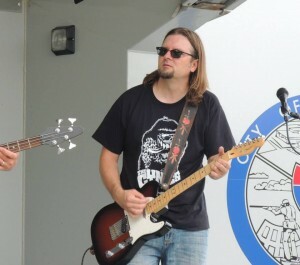 It is also interesting to note that he is very active in a band in his hometown. Then there is our Director of Programming, Ryan. He works a beer booth for concerts that come through an amphitheater in St. Louis. His efforts help raise money for local non-profits, including a Kid’s Club Volleyball Association. Most recently, Ryan worked the booth for a Rob Zombie and Korn concert. If you know Ryan, you would know why that is funny. And there is our very own Kim, who lives on a working f arm in East Texas. She and her husband grow hay and graze cattle on their farm outside of Palestine, Tx (near, coincidentally where a lot of my family is from!). 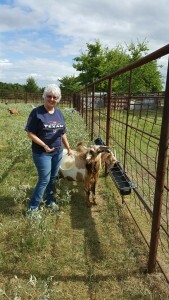 Similarly, our long time employee, Pat, and her husband, raise pygmy goats on their land north of Dallas/Ft. Worth. What does this all have to do with S1000D and data conversion? Well, for certain it means that you will get to work with interesting people. And, it means that you get to rely on people who can bring creative solutions to challenging problems.